Unav version 0.68 on Pro 5 as well as Nexus 5. There are no maps displayed when opening uNav. I can get the GPS position, but the map screen remains blank. I have tried to zoom in and out, but no maps appear. Thanks for the feedback Tomas! It's not the version of uNav, the map provider is down from yesterday. Please, choose another map in the Settings. Thanks, choosing another map provider works! (but they don't look as nice as Open Street Map). Is there a chance to get the OpenStreetMaps back? They look better compared to the mapbox ones. don't have an OSM alternative. 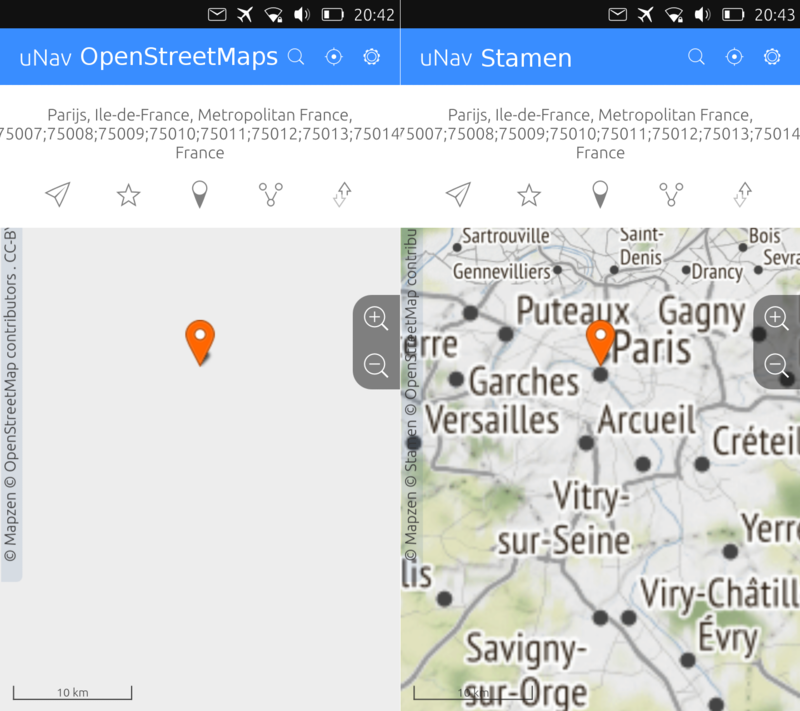 I can find an address using uNav, but the map OpenStreetMaps does NOT load. It stays Gray. When I switch to Stamen (or some other source), it works fine. See attached screenshot. receiving updates for the phone and apps.